It all began in 1842 when Fr. 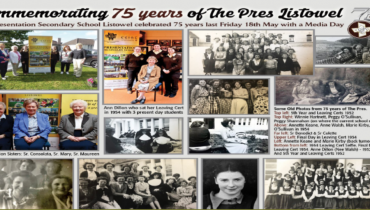 Darby Mahony, the then Parish Priest of Listowel, decided to build a Presentation Convent in Listowel. In May 1844, four nuns came to Listowel from Milltown, to run the convent. 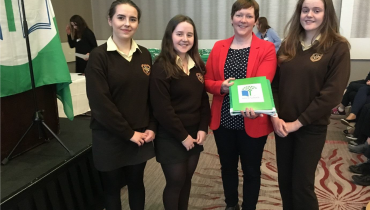 Their main objective was to open a National School in Listowel. On the day of the opening 300 pupils attended but this number soon rose to 500. 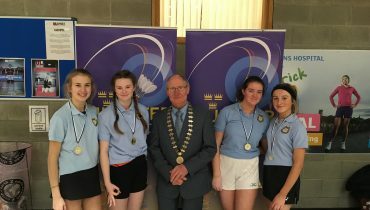 Pupils were not only from Listowel but many attended from the surrounding areas. Amongst the attendance were some adults who were preparing for Confirmation. The nuns had just begun to raise funds for the building of an adequate school and chapel, when disaster struck. The famine of 1845. With money of their own and with the help of donations, the nuns sought to make the pupils as comfortable as possible. They served the pupils a breakfast of bread, a mug of boiled rice and a little milk almost every day throughout the famine. Money subscribed in England for famine relief was distributed by the authorities and some was raised by the nuns to purchase rye bread. This, again, they gave to their pupils. Because of their dedication to their pupils and community, many of the nuns died due to overwork and under-nourishment. After 1848 the situation improved. Due to hard work, perseverance and a little help from God, the nuns raised enough money to go ahead with the previously planned construction. In 1849 the convent chapel was built and in 1852 an infant school with a number of classrooms was also built. Mainly due to the fact that the Presentation Sisters are dedicated to the Holy Cross, a large cross was erected in 1853 on the Infant School. Because of the rules of the National School board, the Commissioners of National Education ordered it to be taken down. The order was ignored. A series of letters from the Commissioners ordering the nuns to obey were all rejected In 1856 Fr. J. McDonnell the Parish Priest of Listowel at that time, refused to become Manager until the cross was removed. This didn’t bother the nuns and to this day the cross is there to be seen by everyone. The reputation of the nuns as teachers was so good that parents from outside areas, ambitious for their children found them board in town so that they could attend the convent school. 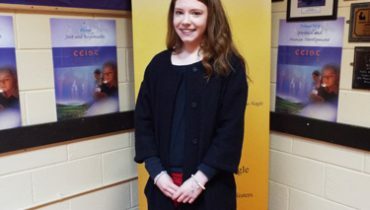 An average of 80 girls were boarding in Listowel at this time. 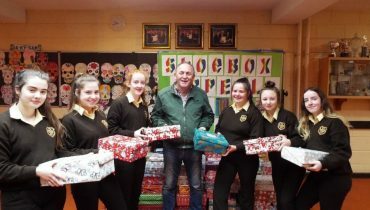 The nuns, as charitable as ever, distributed clothes and goods to the needy pupils. The clothes were distributed on certain days of the year. 100 to 500 pupils received a meal of bread and milk or bread and coffee (when milk was scarce) or bread and soup (for the winter). The convent developed through the years. In 1883 the main building of the Primary School was erected. In 1942 the Secondary School was built. Both buildings were, again, paid for out of the nuns own funds. In 1967 due to the free secondary education scheme, the science laboratory and the gymnasium were built. Three further classrooms were added to the school in 1969. The school today is housed in the original building, with a large extension built in 1985 and prefabricated classrooms added almost yearly in the nineties, to accommodate the growing numbers of girls coming to study there. Early records show that the school was famous for needlework and handicrafts. Nowadays computing, debating and basketball take up more of the girls spare time than the more sedate occupations of their great-grandmothers. 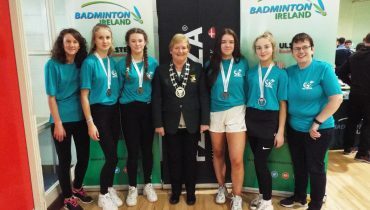 Badminton Congratulations to our U16 Badminton team who came 2nd in the All-Ireland Badminton Final in Gormanstown Co….